Welcome to the world of customised waterbeds. WE LOVE A CHALLENGE. If you have any ideas for your next bed, then please let us know. We are always up for challenge. The harder the better. We manufacture a huge range of beds, bedheads and complete bedroom suites in our Jimboomba factory, and can customise our beds to whatever specifications you need. You may want your bed a little higher to aid in getting in and out of bed, or you may want a little shelf on your headboard to charge your trusty iPhone while you sleep. 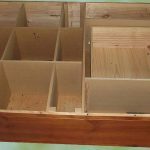 Perhaps you want a hidden lock box for personal items or just a place to store stuff under the bed. Whatever your needs, we can build it. Over the years, we have come up with some nifty innovations and space saving ideas that are all available to you. If you have any design ideas of your own, we are more than happy to go out of our way to make it happen for you. We will examine and understand your ideas and designs, and we will put on our building caps and try to build a custom made solution for you, in your choice of finish of course. 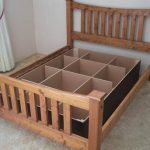 Over the last 30 years, we have created many specialised bed frames with some very clever space saving options. 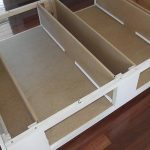 We now have a range of options available so that you can have a waterbed and also add some much needed storage space. 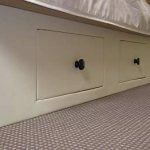 Our bases can come fitted out with drawers of many many sizes, lock boxes, hinged cubby holes or anything you might like to add to your next bed. It’s the finishing touches that make our beds so special. Once you have decided on a bed, whether that be your own or one of our lifelong lasting bed or bedroom suites, the next big decision is to decide on what finishes you might like. 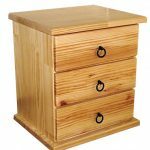 We have many different finishes available to make your bedroom furniture that little bit more special. The finishes and customisation options are endless, and if something is not shown here, bring in a sample and we will color match the best we can. As pictures can appear slightly different on different devices, the colors seen on these pages may be slightly different than the real product. It is always a better idea to get a rough idea online, and then come in and see us at Chermside and see all the finishes in person. 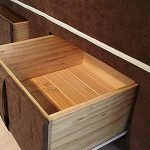 Finishes can include wood stains, stain matching, coloured melamine, leatherettes, and many other different fabric options. Our range of finishes can be found here. Not all waterbeds are made equal. 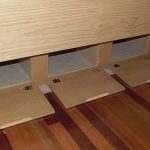 There are other manufacturers of waterbeds, that offer cheap alternatives that are poorly made and don’t stand the test of time. Some claim to be made in Australia but most are in fact manufactured overseas and just repackaged in Australia. Would you be comfortable buying a $15000 car unseen? The waterbeds at Waterbed World at Chermside ARE made in Australia. 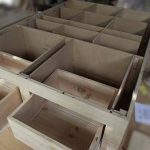 Everything from the baffles inside the bladder, to the foam used in the Softsider beds, to the premium timber used to manufacture our frames. 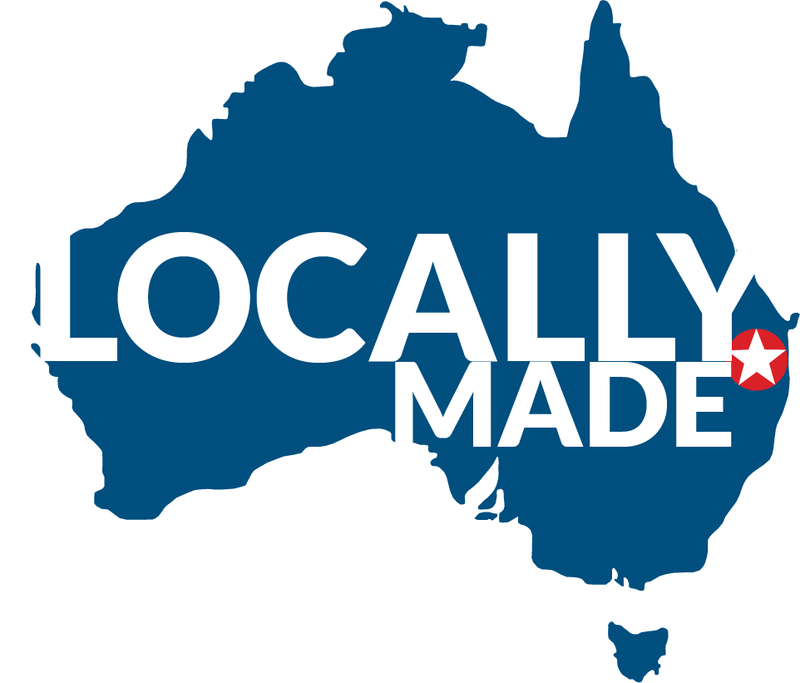 Everything is manufactured in our Jimboomba factory and supported by local businesses. We have nearly 30 years of experience, and we know what works, and what doesn’t. We are constantly innovating and experimenting to ensure you have the finest of quality. Our modern style of waterbeds are of the highest quality and durable to stand the test of time. Our designer and innovative products are unique in the waterbed industry. We make our waterbeds to last a lifetime. We use only the best materials when we manufacture our waterbeds. 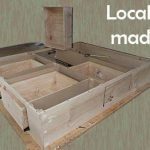 From the highest density quality foam, to the finest wood, we source materials from local suppliers and support local business. Some ‘manufacturers’ import the cheapest foam baths from overseas. These foam baths are flimsy and made with low density materials and do not stand the test of time. The foam in our foam baths comes from an expert manufacture in Brisbane, who is guided by our strict quality standards and uses top quality Dunlop foam.